Have you ever wondered what Colonel Sanders’ fried chicken tasted like? I bet it was nothing like the crap that KFC serves nowadays. How about the tacos first served up by Glen Bell? (Yes, Taco Bell is named after its founder, not after a chiming metal instrument.) And then there’s Pizza Hut. Even in my lifetime, their quality has fallen off a cliff. When I was a kid, I enjoyed going out to a red-roofed Pizza Hut for a nice family dinner. 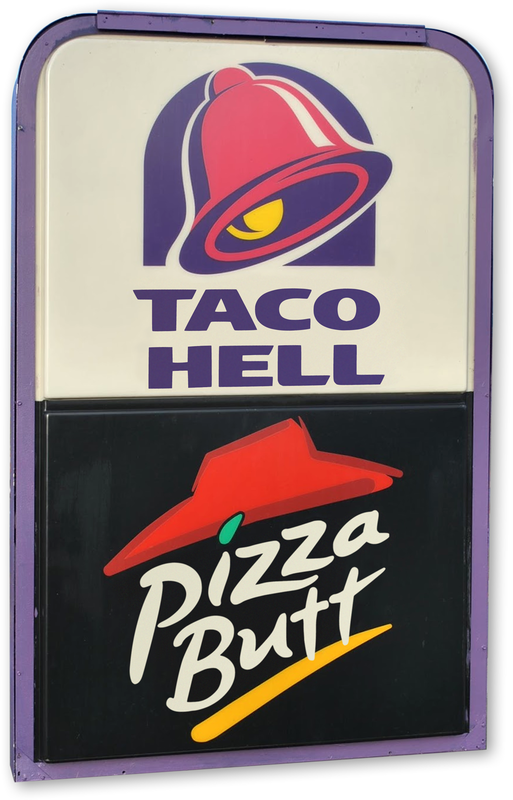 Now Pizza Hut’s brand is more closely associated with reheated mini pizzas served at a Combination Taco Bell Pizza Hut. Taco Bell, Pizza Hut and KFC are all owned by Louisville-based conglomerate called Yum! Brands (hereby referred to without the ridiculous exclamation point.) Until a couple of years ago, Yum Brands also owned the rights to A&W and Long John Silvers. With five major restaurant chains under their umbrella, Yum Brands decided to capitalize on their diverse portfolio. Instead of just selling tacos or just selling fried chicken, they built combination restaurants. The idea was that if a family was driving down the freeway, and the parents wanted tacos and the kids wanted pizza, they could get it all in one place. It sounds like a good idea, until you remember the expression “Jack of all trades, master of none”. In creating these multibranded restaurants, Yum Brands stretched well beyond its core competencies, leading to a inferior customer experience. Of the three major brands that Yum owns today, Pizza Hut has declined the most. The reason is obvious. KFC and Taco Bell were always discount fast food brands. 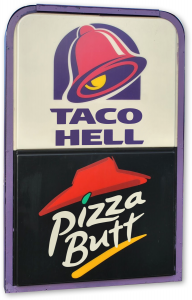 As a kid, my family went to Taco Bell in the bad times and Pizza Hut in the good times. So when you run across a Combination Taco Bell Pizza Hut, it’s really just a Taco Bell that serves frozen pizzas. It’s never a Pizza Hut with some taco makings. And therein lies the real problem with combination restaurants. By combining multiple brands into one restaurant, you have to simplify things to the lowest common denominator. In doing so, you cheapen your brand, and in the long run, ruin your business in search of a quick buck.